Yaya Toure has hit out at referee Craig Pawson following Manchester City’s controversial FA Cup semi final defeat to Arsenal, and hopes for ‘a better ref’ for Thursday night’s Manchester Derby. City had a goal contentiously chalked off after linesman Steve Child deemed Leroy Sane’s cross to Sergio Aguero to have gone out of play. However, replays showed that the entire ball had not crossed the line, and Aguero’s goal should have counted. Hardly ten minutes before the incident, the Argentinian was clearly tripped from behind by Alex Oxlade-Chamberlain in the penalty area, but the referee waived off City’s claims for a penalty. Arsenal managed to get away without much punishment on a couple more occasions, particularly in the first half, and it left City players fuming. It ultimately had an effect on the result, as the Citizens ended up losing 2-1, crashing out of the FA Cup in the process. Toure was very upset about the refereeing in the game, and hit out at Pawson and his assistants after the full-time whistle. City play Manchester United on Thursday, and the Ivorian admitted that he hopes the FA would appoint a better referee for the blockbuster clash. “I think the referees have to stop this. I am very disappointed. It is not the first time, there have been a couple of times,” he stated. The game against local rivals United at the Etihad Stadium is one of the most highly anticipated derbies in years, and could have a big say on where the two teams end up. United lie just a point below City in the table, and with Liverpool losing to Crystal Palace at Anfield, a victory for the Red Devils would see them jump to third in the table provided they win their other game in hand. City could put some distance between themselves and United with a win in the fight for the Champions League places, and this could be one of the most important derbies the two teams have ever played. 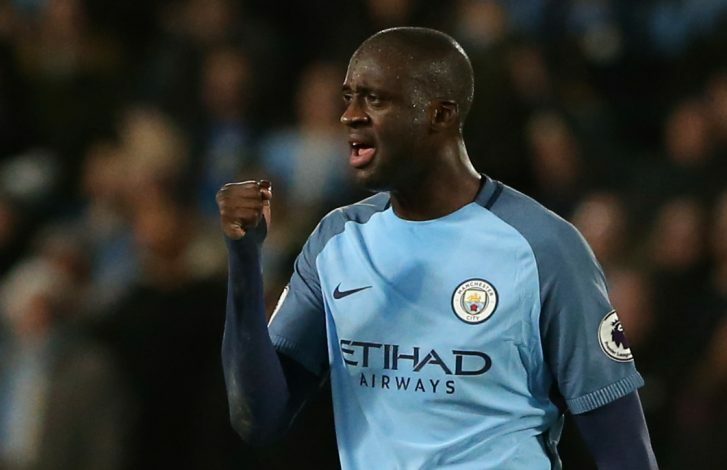 It would be an absolute shame if one of the biggest games of the season is marred by poor refereeing decisions, and Toure is hoping for a good referee to ensure a proper, thrilling, yet fair encounter between two of English football’s biggest clubs.